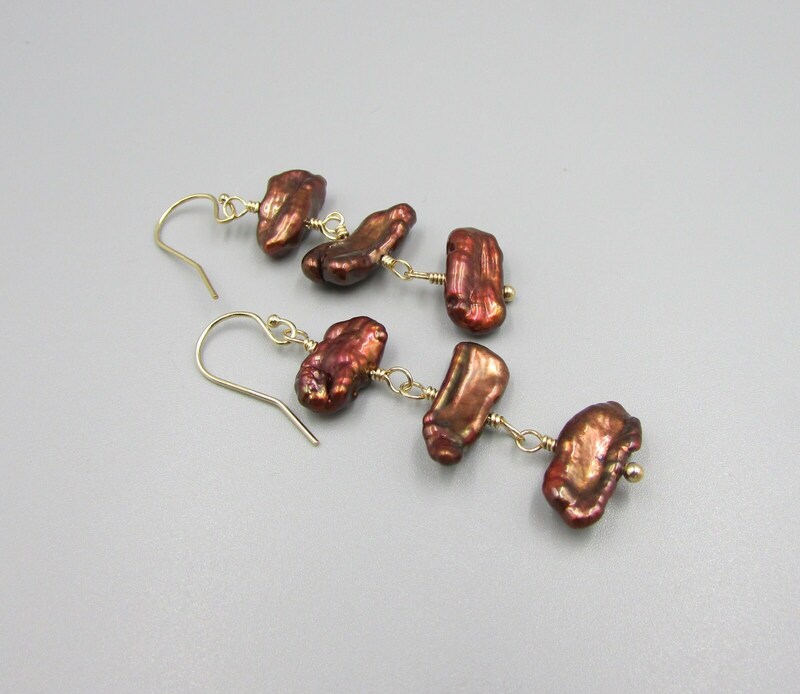 These long Biwa Pearl Earrings are made with 3 biwa pearls wire wrapped in 14K gold filled wire and finished with gold filled ear wire. 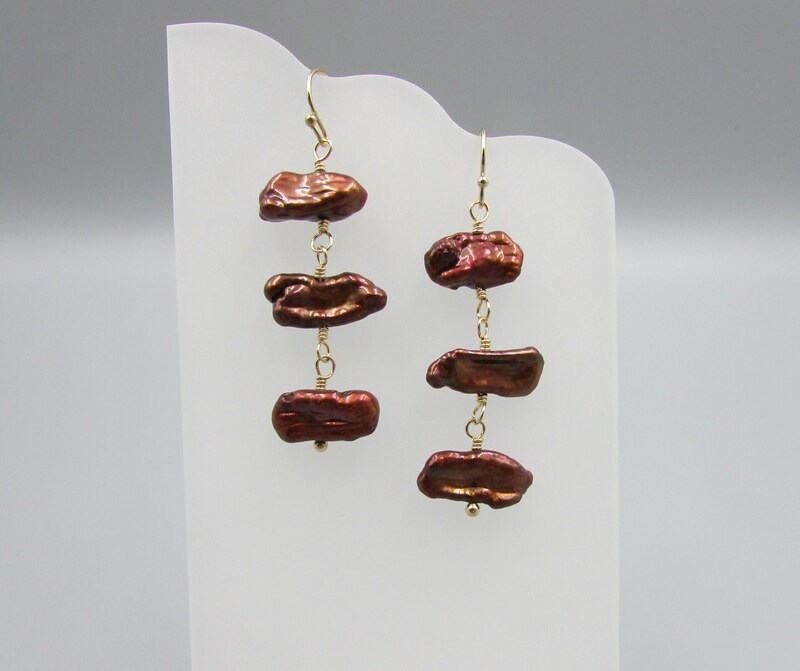 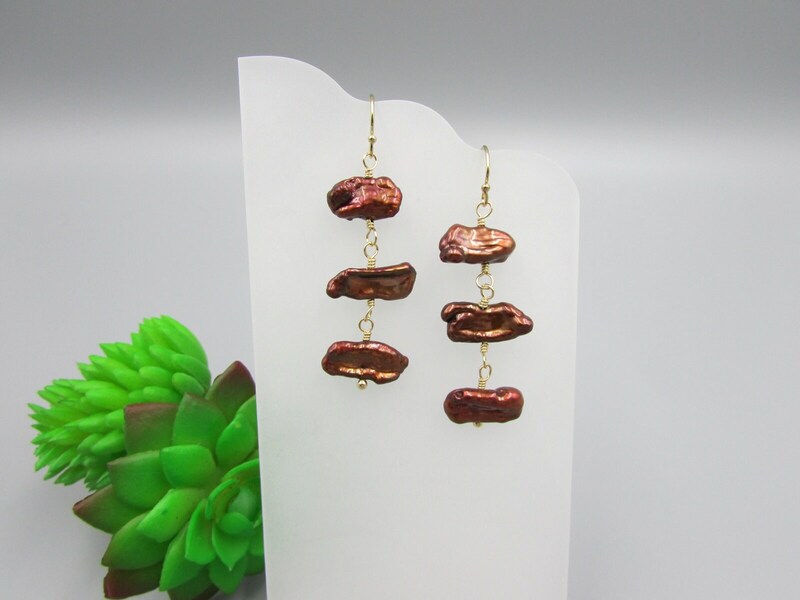 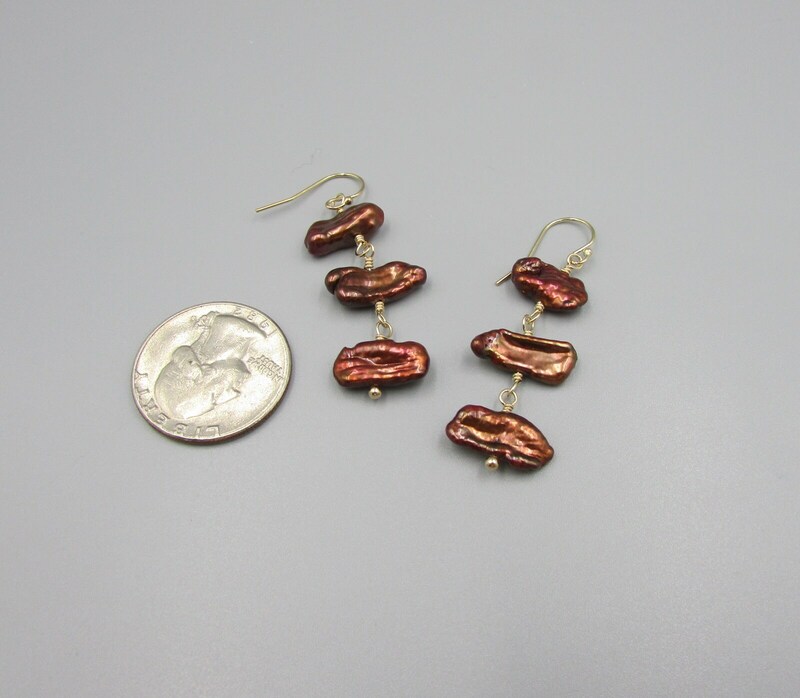 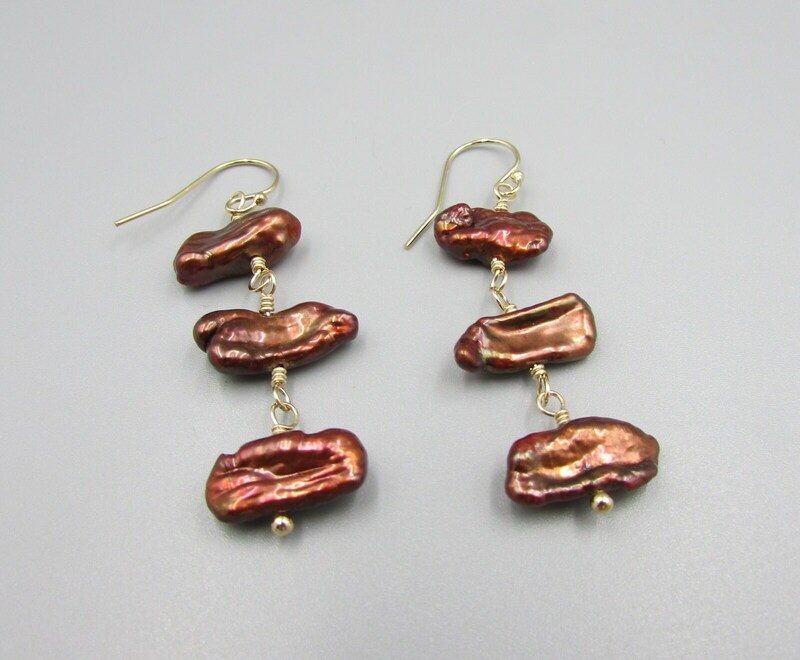 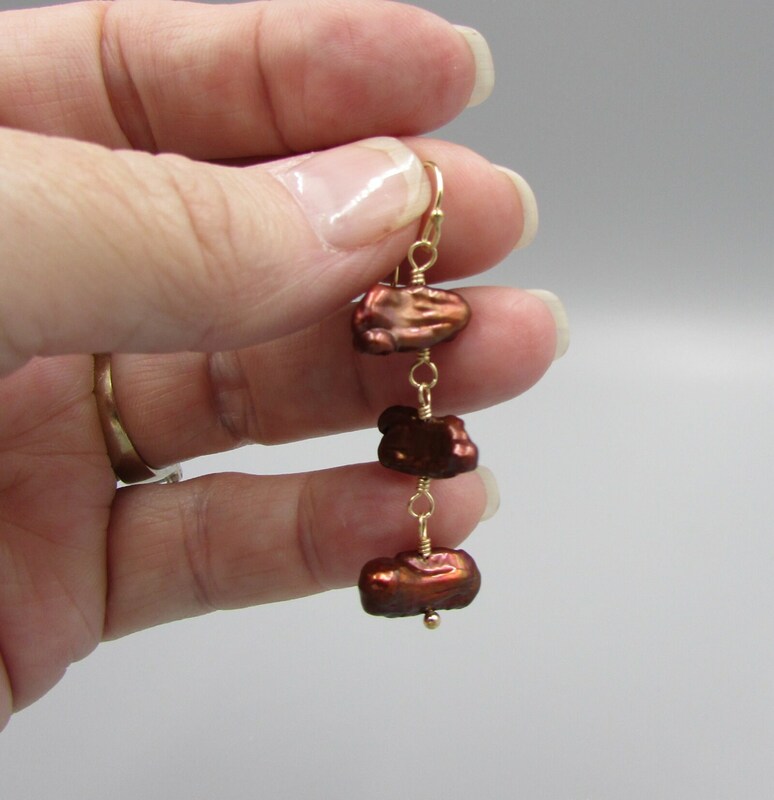 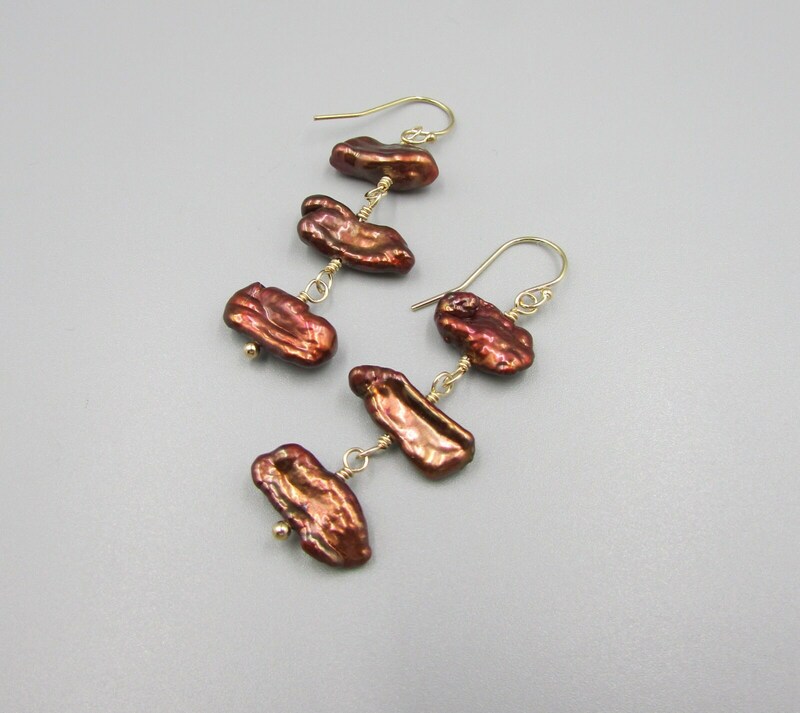 The color is a beautiful deep burnt orange and the earrings are 2 inches long. 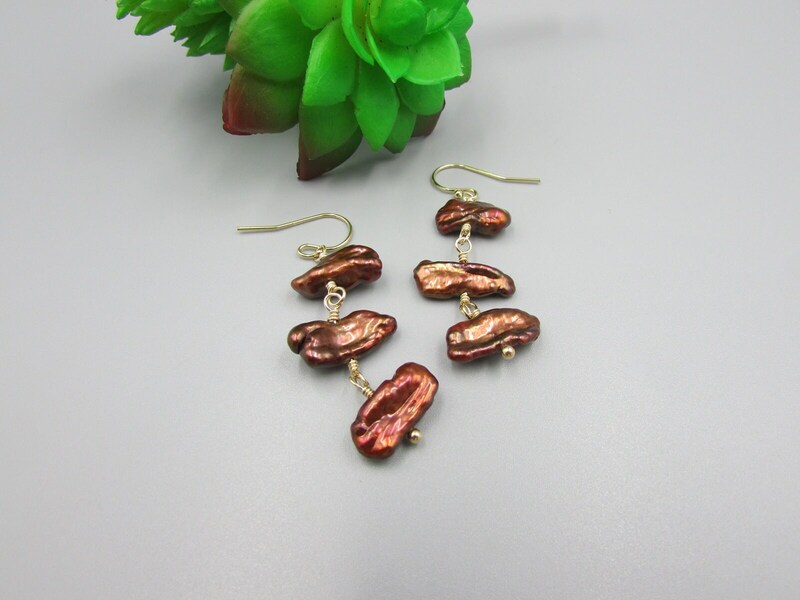 Perfect for that special someone, a bridesmaid gift or anniversary gift.